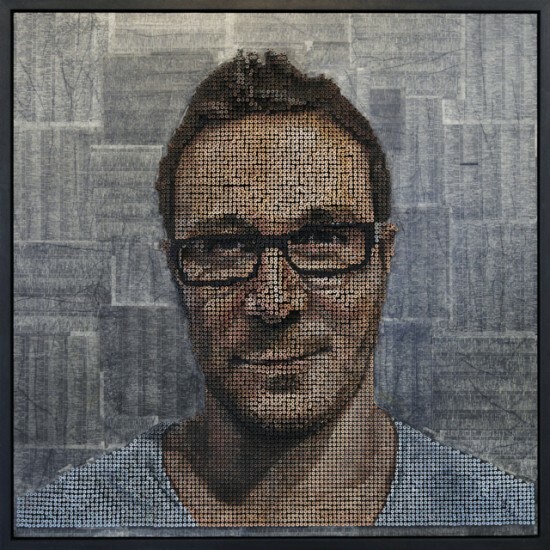 Laguna Beach based Andrew Myers is the only artist in the world who uses screws as the main medium to create three-dimensional artworks. Simply put – he screws art. The young artist didn’t always work with screws, the idea just came to him one day, while working on a church’s bronze relief depicting the life of Saint Catherine. And, like most artists, once he got it into his head to work with a certain medium, he just had to find out if he could actually make it happen. It sounds like a screwy concept, but it turned out to be brilliant. 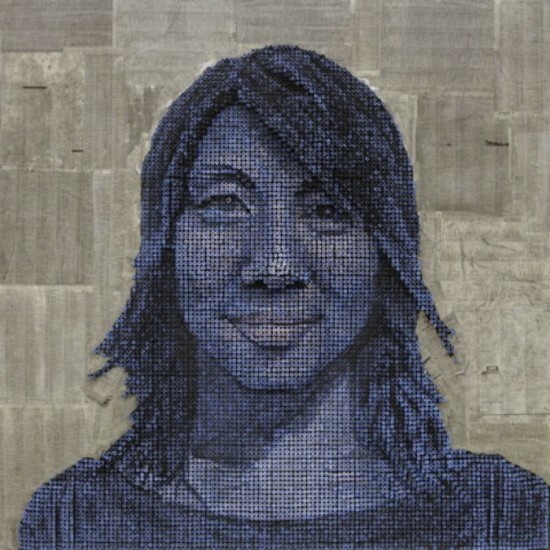 Unlike other artists who create similar art, Myers doesn’t rely on a computer to pixelate his works, he just makes a grid and drills in screws at certain key points (like the tip of the nose) to establish the depth of the artwork. “For me, I consider this a traditional sculpture and all my screws are at different depths. There’s nothing planned out. I draw out a figure on the board and figure out the depths,” the artist says. 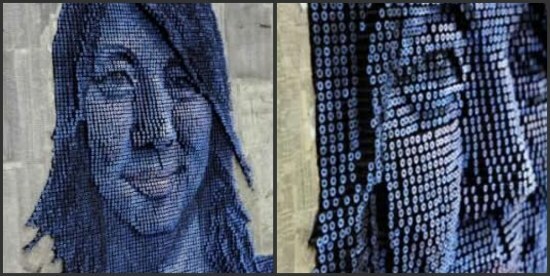 The screw holes have to be drilled beforehand, to make sure the screws go in straight, and the background of the portrait is made up of phone book pages, usually with listings from the area of the subject. Creating screw portraits is actually harder than it sounds, and the first one he did took him six months to complete, because he had a lot of things to figure out. 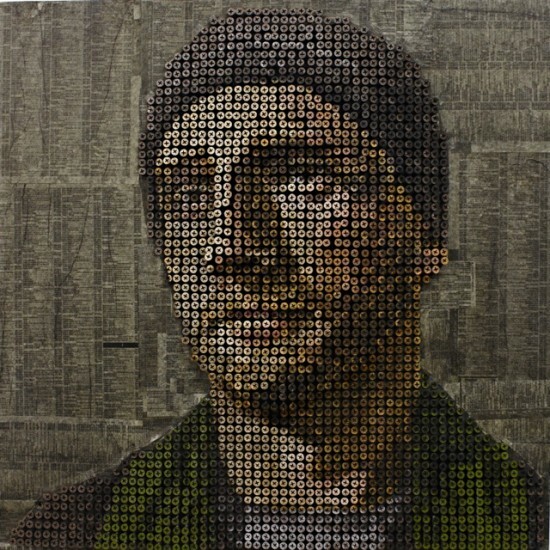 First, he didn’t know if he wanted to paint each screw head individually, an important decision to make, considering one of his portraits contains between 6,000 and 10,000 screws; then he had to figure out how to erase the drawings behind the screws, since he couldn’t get a brush behind them. He eventually found a way, but he’s keeping a secret. 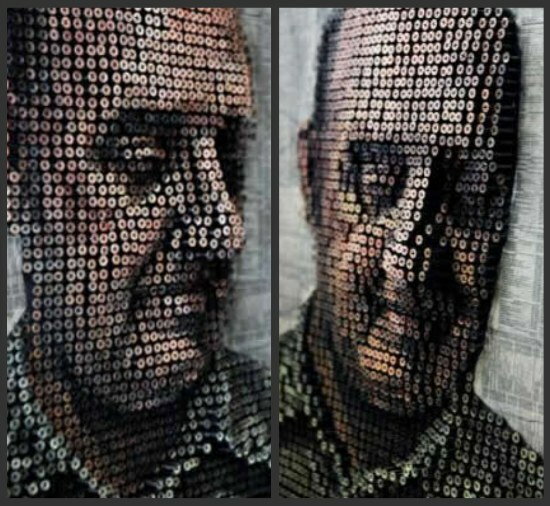 While he admits he sells his screw paintings for up to $35,000, Andrew Myers says his art takes a lot of emotion and effort, and he’s not doing it for the money, but rather to reach an untraditional audience – guys who would rather hang out in a hardware store than an art gallery, and even the blind, who can touch the screws and immediately visualize the artwork.